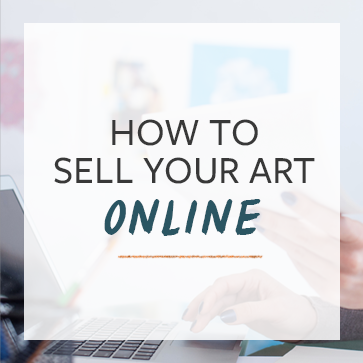 You’ve made the decision to start selling your art online. Congrats! But where to begin? Head on over to Google and punch in the search term “online art gallery.” You think this will be a good place to start, but now have the misfortune of sifting through 363,000,000 search results in the hopes of finding an online gallery that meets your needs. By our last count here at TAA, there are over 300 websites that specifically sell original art online. Things are obviously boomin’ in the online art world. New (and younger) buyers are emerging as viable art collectors for the first time in years as prices and options such as limited edition prints are becoming more readily available. It’s a trend that’s been particularly driven by the sheer volume of online art websites that include the ubiquitous Etsy but now also encompasses world-renowned leaders like Saatchi and Christie’s. We recently chatted with Jonas Almgren (CEO at Artfinder.com), Nicolas Sarazin (CEO at ArtMajeur.com), and Alex Farkas (Gallery Director and Co-Founder of UGallery.com) to learn more about how they operate. You’ll find some helpful and exclusive advice from them below. the roster of clients of the gallery. For uncurated open marketplace sites (think Etsy), the company is relatively hands-off, charging a low commission or a small listing fee. The marketplace sites are often crowded and an artist’s work can often get lost. In this case, the artist will need to market their portfolio to generate sales and fulfill the orders themselves. Frankly, it’s a good idea for artists to do this no matter which sites they’re on. According to Alex at UGallery, for premier curated online art galleries, their role is the same as a brick and mortar gallery. They will help prepare your work, which includes setting prices, posting photos, and writing descriptions of the work and a biography about the artist. They will merchandise the art on the site, adding it to collections and featuring it where possible. If the gallery is curated, they will ensure your work is unique relative to the other artists it represents. They will also advertise on your behalf so your work has visibility to a growing set of clients. A site like Artfinder sets their commission at 30-percent, enabling them to promote their artists online and offline; recruit new potential buyers (they have 350,000 members); give special promotions like free shipping weekends; and offer free returns at no cost to the artists. On the other hand, a site like Artmajeur only charges a nominal commission on free accounts, but cancels this out when an artist pays for a monthly subscription. How much a site pays out to an artist truly varies from one end of the spectrum such as 20-percent (DeviantArt) or 30-percent (ArtRising) to 100-percent on a site like Artplode because they charge no commission. HOW DO I KNOW AN ONLINE GALLERY IS REPUTABLE? Wading through the volume of online galleries can get overwhelming, so how do you figure out which ones are worth your time and money? Based on our conversations with the founders of these three sites, they recommended that artists look at factors like longevity (how long has the site been around? ), membership size, and artist reviews to help in the decision making process. Jonas/Artfinder: I would look at for how long the gallery has been around; how many users/members the gallery has; and customer reviews. For example, in the past six months, Artfinder has received over 2,500 reviews of which 94 give the artist and Artfinder top marks for order experience. Those kinds of results speak well for a quality site. I would also check in with artists selling through the gallery to see what their experience is as sellers. We offer an artist forum that allows artists to share their experiences and tips. Alex/UGallery: There are a few sources to check out when researching online galleries. Second, look through lists of the best online art galleries such as Apartment Therapy’s list or Emily Henderson’s list. TAA Note: You can sign up for our Members-Only Resources to get a full list of all online art galleries with information on search rankings, approximate traffic, and other site stats. Third, browse the gallery’s website. Often you can tell a lot just by looking through the site. See if the art looks high quality and is merchandised well, and what the shopping experience for a client would be like. Also, see how often they update their inventory or their blog – you want to find an online art gallery that is active and up-to-date. Lastly, browse the gallery’s press page to see if they have earned notable press in the past few months. Shipping is handled in a variety of ways, depending on the online venue you choose. For most marketplace sites like Etsy, shipping must be fulfilled by the artist. The artist is responsible for buying the packing materials, packaging the work, and dropping the piece off at local shipping center. The artist also will typically pay for the shipping, which means they have to estimate the costs up front so they know how much to charge the client. For full-service online art galleries, shipping is handled by the gallery. Jonas/Artfinder: At Artfinder, the shipping is the responsibility of the artist. The artists set the shipping costs when they upload an artwork to their Artfinder store. The buyer is charged for shipping, and the artist is reimbursed by us. We offer advice and support when necessary, and handle all shipping arrangements if an artwork is returned for any reason. Nicolas/Artmajeur: We provide shipping service. The shipping cost is registered on Artmajeur by the artist for a region or a country. The buyer is in contact with the artist and negotiates shipping directly with them. For the print product, we have different worldwide partners with a worldwide distribution. Alex/UGallery: At UGallery, we send the artist a professional art box that is custom sized for the specific piece. The box contains foam layers rather than peanuts to protect the art. An artist prints the pre-paid shipping label from their UGallery account, so there is no need to pay for or estimate shipping expenses. It only takes a couple minutes and a few pieces of tape to package and ship artwork. We also coordinate freight shipping on behalf of artists for larger pieces. HOW DO ONLINE GALLERIES SUPPORT ARTISTS? How do online galleries help support their artist base? Offline and online galleries have a similar goal: get qualified buyers to view your art. While brick and mortar galleries often rely on more traditional methods, online galleries do most of this by driving traffic from search engines, blogs, and social media sites to their website. These sites also offer tools and resources that educate artists and help them promote and sell their work as well. Alex/UGallery: At UGallery, we advertise through search engines (Google, Bing), social media channels, and online magazines. If a prospective client searches for an artist’s name or where to buy art online, a UGallery ad will appear in the search results. An online gallery also seeks placement in the press to bring more visitors to the site. Lastly, an online gallery typically has a robust email program to send marketing updates to its following – from new listings to promotions to blog content. Each online gallery has a different approach to marketing, but fundamentally they all invest in bringing new clients to their site every day. Nicolas/Artmajeur: Artmajeur has developed a lot of tools for artists to help them sell their art. Our platform is available in 12 languages, and we can see from our statistics that artists and collectors appreciate and use the platform in their mother tongue for buying art. We also offer a lot of services free or charged to help them promote their art. We have created the possibility to follow an artist, comment his pictures, everybody can create its own collection with the art he or she love and share the artworks you love on social media. One of our biggest goal is to make art more accessible to everybody thanks to the internet and help all artists to sell and promote their art. Think of an online gallery as a business partner. They want to succeed, and have developed tools and put a lot of money into play to make sure that happens. That means your success is their success. Doing your research based on the factors and advice you’ve learned in this post will go a long way toward ensuring a measure of success with an online gallery. The biggest gripe we hear from artists is that they sign up for one of these sites and don’t get any sales. Remember, at the end of the day it’s still up to you to spend time promoting your work and making sure it gets seen by your target audience. Creating your own website, blogging, building an email list, sending out a newsletter, and consistently posting to social media will not only help your business succeed overall, but will also ensure you get sales on third-party sites as well. Was this post helpful for you? Please share your thoughts or questions in the comments below! This is a really interesting article. I like the idea of a juried site because you know you’re in good company. What are your thoughts on being represented by multiple online galleries? Thank you so much for this article. Actually I find most of your articles save worthy! Share this one because it is exactly what I’ve been asking other artist that I follow. I am going to ask a question that I have asked other. & not given a comment back. My question is, Can you upload the same piece artwork on different online sites to sell? Is it legal & ok business practices? I am an established artist looking to build a nice steady revenue stream from print sales. 1. If I work with an online venue, I must keep control of my image files, editions and quality of each print that I hand-sign and number. Print On Demand won’t ever work for me. 2. Is there an online market for artist-signed limited edition prints, or only for open edition prints on demand? My formula for pricing is retail-$1.00/square inch, signed and numbered editions of 500 for each title. My prints retail for between $100 and $450. My originals have sold for $12,000 to $25,000. Smaller, postcard-ish sized oils are $1500-$4000. I see no reason why I can’t sell $1000-$2000/month worth of my prints online, if not sales of original oils. 3. What is the best e-commerce option for me to sell my prints, on my terms? I have sifted through many, many online art companies, advice blogs and reviews to find that Art.com, Saatchi and Art Storefronts are the most successful at selling art, but I have problems with each. Art.com told me “no reproductions, only original art at $2000-$3000 max”. Art Storefronts looked like the best thing going until they revealed the ridiculous $2900 one-time fee – seems like their profit model is on the backs of artists, NOT in having faith that commissions from sales of art will drive profits. Saatchi sounded good at an uncomplicated 30% commission, but it has oceans of mediocre work and would require me to submit copies of my driver’s license and passport for intrusive tax compliance purposes. 4. I would like to find a curated online venue with genuine high standards, not the closed-circuit funny business of the contemporary art establishment. I want a venue with a healthy middle market clientele that respects and supports the pricepoint and success I’ve already earned, not one with the low price ceiling of $10,000 I keep hearing about. Are venture capitalists driving this high turnover industry? I see these things pop up like mushrooms, only to quickly die and be replace by the next model in a continual evolution. This business model looks like a money pit, a high-risk anchor snag for attracting venture capitalists and fee-paying artists. My instincts are to mistrust companies with my intellectual property (high-res digital files), and indeed I have seen comments and articles confirming my suspicion that once an online print company goes out of business, its assets (including artists’ image files) are at risk for being transferred to other parties. Is the only road success in this industry now open-edition Print on Demand? Everywhere I hear that artists themselves – not online venues – must drive traffic to their commerce sites. I’m told by company experts that Facebook is essential in driving traffic to my site, and since artists are not supposed to “sell” on social media, the indirect content they are instead encouraged to post makes them seem more like an unpaid news agency. Until I hear convincingly otherwise, I think only fools would buy “likes” with Facebook ads, when it has been investigated several times for stocking phony “likers”, more so if artists continue the tragedy by paying for boosted posts to reach their “likes” as Facebook’s constricting organic reach algorithm limits you to your relatives, close friends and only those that continually engage your posts – all 31 of them in my case. Doing an endless courtship with blogs and staged events on social media while trying not to outright sell to people is a waste of my time and money. I don’t mind paying a 30-50% commission as I’ve built it into my retail pricing formula, but I do expect venues to drive traffic to my artwork and make sales magic happen. I am not a hamster in a social media wheel. Though I see tantalizing potential, so far I see a desert with two polar extremes; having your fine work disappear into a vast ocean of mediocrity, and a few sites catering to the screwy contemporary art establishment that have an exclusivity standard of internal nomination only. Someone please help me out here. This article gives me hope that the middle market is returning to art, and I can again thrive. Jim, there’s a number of assumptions here that bear clarifying. Choosing to manage the quality for each piece is a noble idea, and if it’s important to you, then great. At a certain point though, that kind of activity doesn’t scale. So it depends on what your goals are. If you’re ok with limiting your income, then certainly oversee each print. The question of whether there’s a market, and how to find it, lies with each artist. Finding an audience is your responsibility, not anyone else’s. As for the platforms, the best ones do a fair bit of marketing (like Saatchi does), but it still comes down to finding your own audience. That will always be the case. Regarding ArtStorefronts, that setup fee is their only form of income, as I understand it. Where Saatchi and other POD sites make their money from a percentage of each sale, ArtStorefronts charges the one time set up fee and you keep 100% of sales. In the long run, you make far more money doing that, and you also get to keep your relationship with the buyer, which is probably the most important thing about the transaction anyway. It helps if you can first look at these different sites and options and try to see them the way a potential customer for your art will experience them. 1. Have they established an identity that will draw in people who purchase your art or is the art featured on the site’s landing pages a complete mismatch and possible turn off? 2. Is their product range a match for your current audience? Does it serve your art fans who are not yet buying your work – in any format? 3. Does the site design and layout feel like it would appeal to that segment of potential customers? 4. Is the site friendly and easy to navigate? 5. Can you browse the work? Is this an intuitive and rewarding experience (do you see a lot of things you like and/or that your audience would enjoy browsing or do you get turned off/ see things that would frustrate and turn off your potential collectors)? I confused Art.com with UGallery…..sorry. It was UGallery that told me “Originals only, $2000-$3000 max”. What are artists thoughts on trying Artist Rising, then getting into Art.com? Some great insight! We started helping a local gallery sell art online through their website. Surely they do better than > 1/25 giving top marks. Perhaps that is a generous number for top marks in the land of online art buying but I’d be very surprised if so. Ooops, I meant < 1/25. I think that it is interesting that online art galleries have been attracting younger art collectors. Do you think this is just because of the convenience of technology? It can be really difficult to make actual money as an artist, so I really appreciate all of your helpful information! I’ll be referencing your article frequently so that I know I am doing everything I can, thank you! I’m reading your book right now and trying to get things set up and (re)reading some articles here. I’m still confused on one point: I already have my own hosting, domain and WordPress site. If I set it up to sell art ( which I create digitally ) who do I use for fulfillment without having to share commissions or pay for storefronts I don’t need? I understand I’ll need to cover printing costs, but I’m not seeing options that would allow me exclusive listing. Did I miss something? Is this a legitimate question even? Because a dropship printer would be great. I just don’t care to also list on their site. I’m doing that now with DeviantArt and tweeting stuff for sale once in awhile and it’s just not working. Is UGallery just open to artists in the US? I have an art gallery selling large abstract art, but most of my sales goes from my online store. Can we sell painting via online through any country or not?? I liked that you talked about looking through online galleries and see what types of art they have in there. It does seem like a good thing to be aware of if you want to but or sell art online. I am very particular to types of art I like and I would want to know that I could easily find that type of artwork. I imagine that shipping is a major thing you need to look into when buying art online, so it is great that that made it into the article here. After all, if you’re planning to buy art online, you want to make sure that it is good condition. In order to ensure that the shipping has to be professionally handled. Why would I need to promote myself to sell on these places? That’s their job, just like brick and mortar galleries. Don’t be blind. Just what I needed to get my foot in one or two doors. Thanks!. I’m doing very well helping decorators with my prints on Society6 checkout my biggie painting. It’s easy selling art online. I usually sell through saatchi and artfinder. I find http://www.artprism.com to be the best as the website is very easy to use and they only charge 20% commission on sales.They also actively market all the artists on board.Its hard to get through Art Prism through as they are a juried platform. Only original art and they select.the artist they represent. You need an approval from them before joining. I am just starting to use Internet in order to sell my art: it was very helpful information about online galleries! We have a large portfolio from our deceased brother. Most of our inquiries bring back same response. “No interest in artist that is dead,”. Have heard this from multiple sources. Any advice or if donation to large art school could work? Please post a link to some selected works. Maybe an art dealer would be interested.